TEO Solar, also known as The Energy Outlet, offers high quality, affordable solar panel system in Daytona Beach, FL. We have been servicing Daytona Beach for more than 30 years with every type of solar system, to include solar panels, solar PV, and more. Our installation process has evolved and continually improved over these three decades, so our clients can be assured of receiving a quality system that will fully deliver on all expectations. We offer free consultations at your home or business to discuss every detail of the system you are interested in, and we can also make recommendations on other solar systems that will provide value in your particular case. The Energy Outlet's solar panels are strategically located on our clients' homes to maximize available sunlight in order to achieve the very best results. Our trained experts will review your home layout, as well as the amount of shade that you might have, and then make a determination on the best location for your new solar system. Our decades of experience make the entire process very seamless, and every step we take along the way will ensure the optimization of your new system. This attention to detail on every phase of the project is the key to realizing the very best results with each solar system that we install. For Daytona Beach solar panels, we only use the highest quality panels in the market so they not only perform as promised but they also are very durable to combat the inevitable forces that can happen in our area. So when a CAT 4 hurricane comes rolling through the area, your solar system will be built and installed to withstand even the most intense storms. We take special care during the installation process to ensure the most stable, solid, and durable panel systems that you can build. TEO Solar also stands behind our solar panel systems, so you can be assured that you have a partner for life in resolving any issues that might arise. Aside from our solar repairs and service, we offer among the best warranties in the area, just one of the many ways that we have built our business over these many years. So if at any time you're having even the slightest issue with your solar system, we are a phone call away and we'll work with you to get your system working optimally again as soon as possible. We have built our business over more than three decades with integrity and a customer-focused approach to the business. As a top solar contractor in Daytona Beach, our objective is to exceed your expectations on every project that we perform for you, whether it's a minor solar panel repair or the installation of a full solar system. The job will not be done until you are fully satisfied with every phase of the job. This commitment to quality is the foundation of our business, and we focus on these principles on a daily basis. 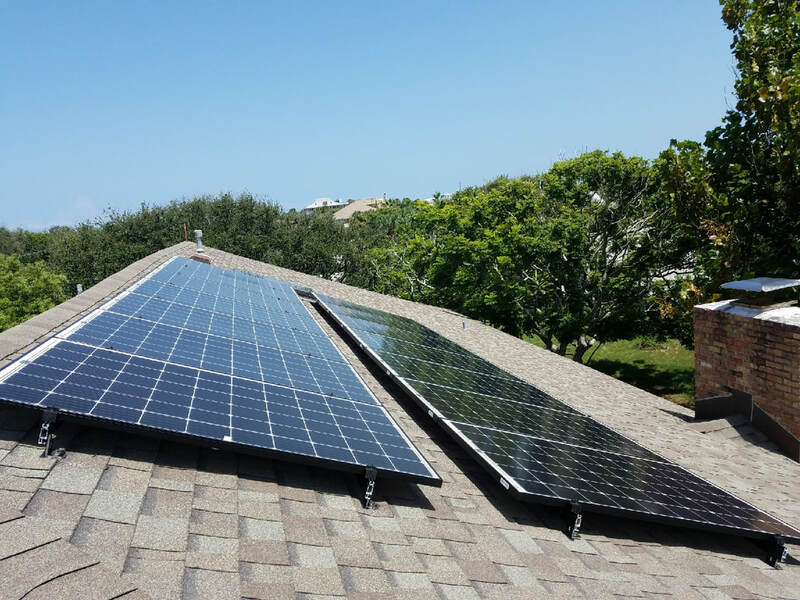 We place a great value on making sure our customers are fully satisfied with the work that we perform, whether it is a small repair for a full solar panel system in Daytona Beach. Call TEO Solar today at 386-437-2671 to discuss solar options for your home or business.